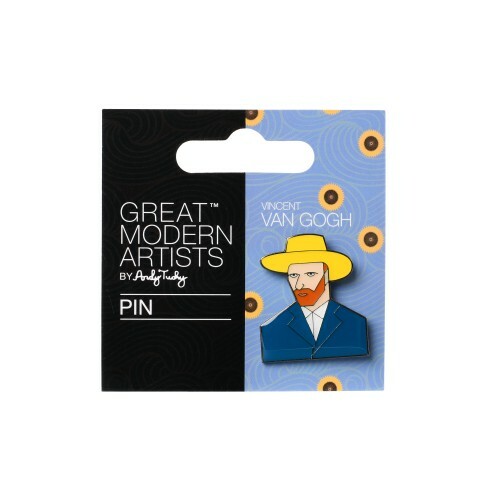 Add a playful touch to your outfit with this Vincent van Gogh lapel pin. Designed by graphic designer Andy Tuohy for Van Gogh Museum. Stamped iron with soft enamel lapel pin.